If you love cooking with cinnamon, we sell Frontier Co-op’s organic Korintje cinnamon which has a bold, spicy cinnamon flavor. 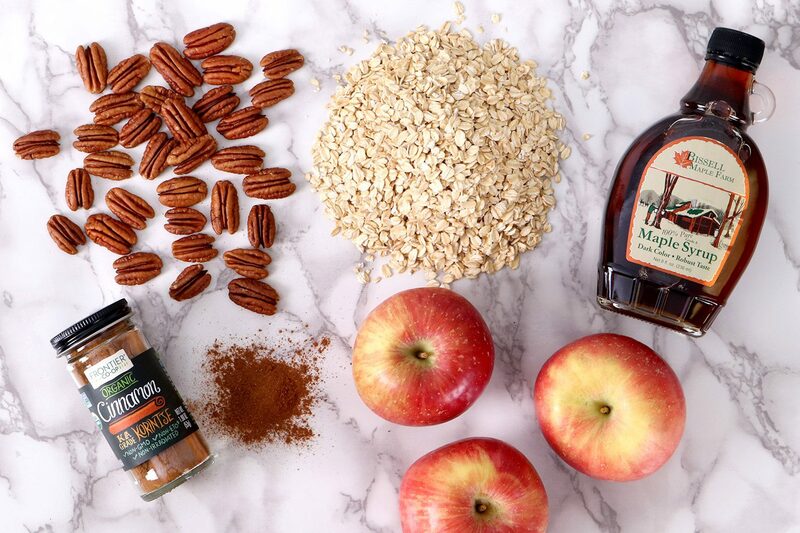 Try it in this weekend breakfast recipe—Baked Oatmeal with Cinnamon, Apples, and Pecans! Adjust oven rack to middle position and preheat oven to 350°F. Lightly grease a shallow 2-quart baking dish (I use a pie pan to make it look fancy 😊). Add the apples and cover with foil. Bake for 20 minutes or until the apples are beginning to soften. Remove the foil and allow to cool for 10 minutes. Add the oats and pecans to the apples. In a small mixing bowl, whisk together a ¼ cup of maple syrup, salt, cinnamon, egg, milk, and melted butter. Pour over the oats, pecans and apples. Use a spoon to stir milk into oat mixture and to distribute the apples evenly. Bake until center is set, about 30 minutes. Remove from oven and drizzle remaining maple syrup and heavy cream if using.